I’ve been in a bit of a rut lately. My life revolves around school, hence the rut & lack of regular blogging. Tonight, however, I had some Chocolate Coffee and Citrus 4 from Pressed Juicery and my hazy brain seemed to clear up a bit. That means I got inspired to actually take more than a couple minutes to remove my makeup and slap some moisturizer on. I decided to use a gold standard product and a totally new (to me) product. To start, I swiped some Sephora Cleansing Water all over before getting stuck in. 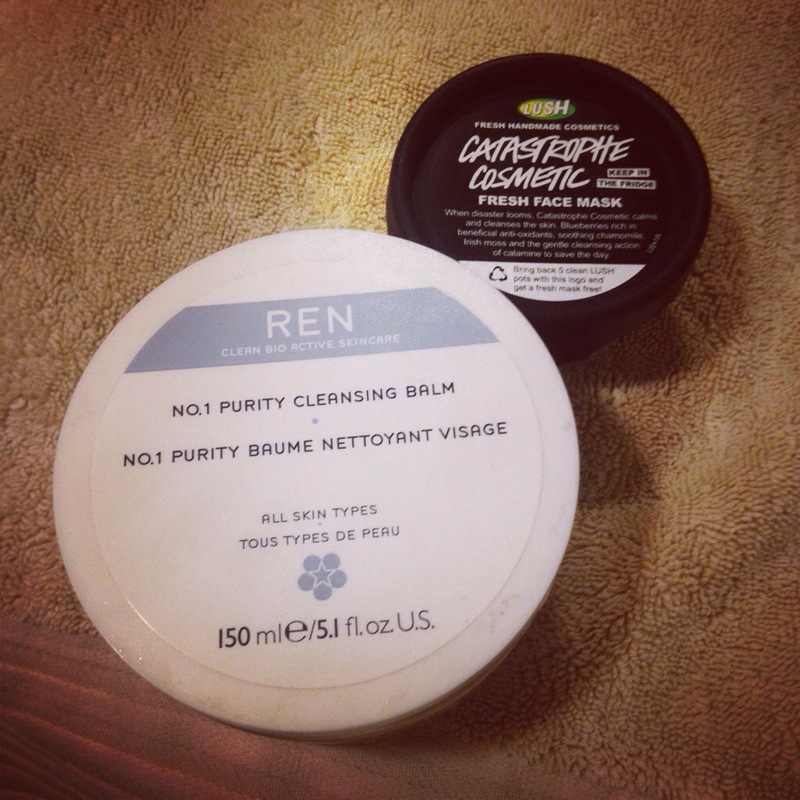 Next was my hero, holy grail, número uno beauty product: Ren Skincare Cleansing Balm. I’ve written about it before and will continue to write & talk about it for the rest of my life. As usual, I massaged a teaspoon over my entire face and neck and let it sit for a minute. Then I added a bit of warm water to get it going. The last step was wiping it off with a mildly hot wash cloth. Heaven!! 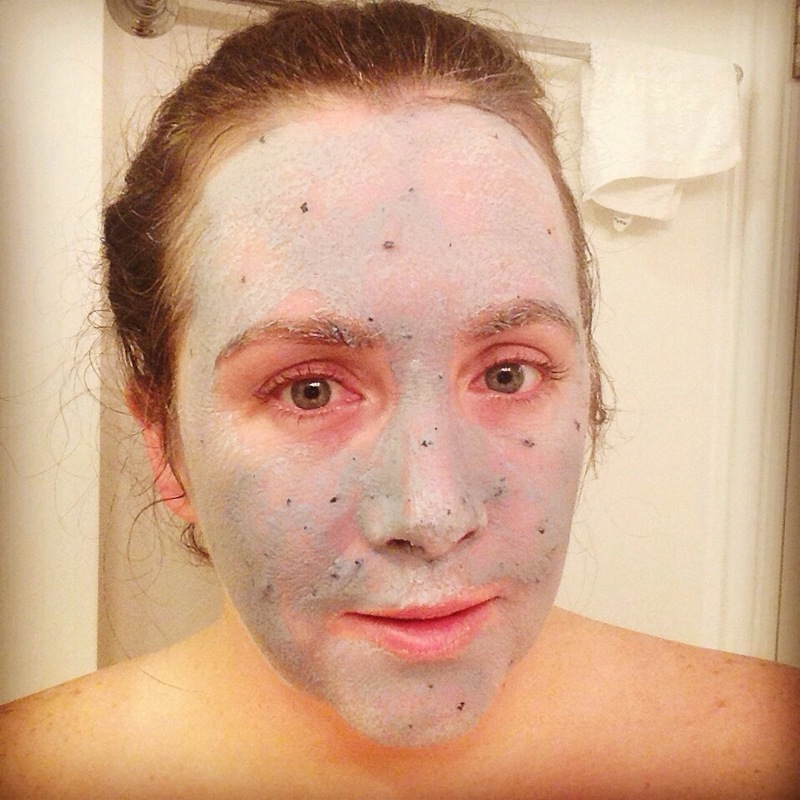 Next was the newest addition to my skincare: Lush’s Catastrophe Cosmetic fresh mask. I let it sit for ten minutes or so, then removed it with a hot wash cloth. My skin felt so smooth and soft! The only less than positive aspect to this mask is the smell. It wasn’t a bad smell, just not my favorite. However, the smell is not a deterrent from me repurchasing this mask. These two products allowed me to unwind and take some time to just breathe. They allowed me to reflect on the day and set some positive intentions for the rest of the week. I highly suggest everyone take 10-15 minutes at the end of the day to do the same. You don’t need to do skincare, you can just sit or stroll. Find peace any way you can!